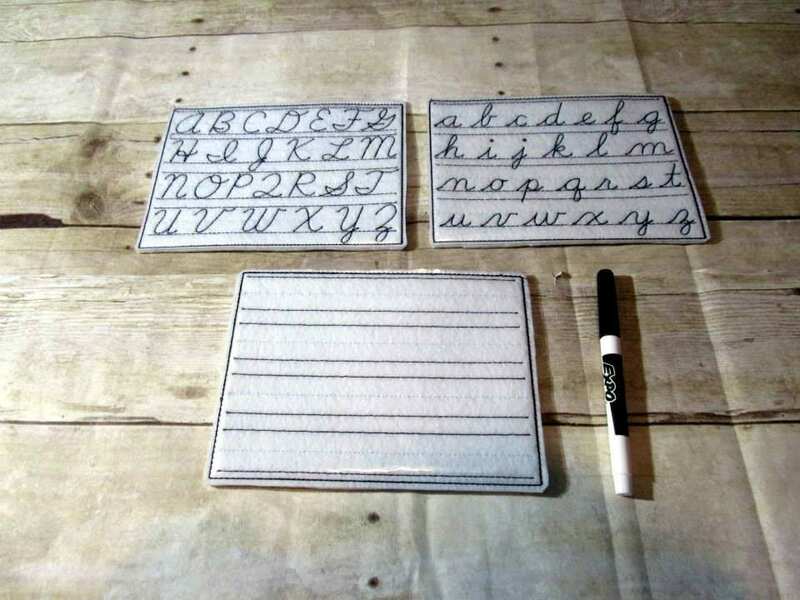 Felt cursive letter writing boards. Are you trying to teach your elementary age student how to write in cursive ? These boards are just what you need. Machine stitched felt boards covered in durable, clear vinyl. Just use a dry erase marker and follow the lines. When they're done, wipe clean with a damp paper towel. Store for later use. Cursive is a lost art so this set would be good for any age wanting to learn how to write in cursive. Comes with a blank page so you can practice joining letters. Makes a great gift for a child, teacher, or someone wanting to learn. Ships within 10 business days of payment. This item can be made in any quantity with adjusted processing time.